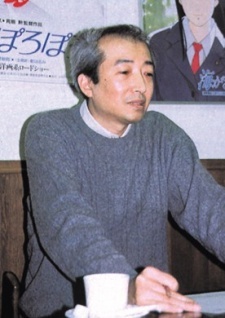 Kondo was expected to become one of the top directors at Studio Ghibli. However, he died of an aneurysm in 1998 at 47. His death is said to have been caused by work excess, and seems to be the main reason for Miyazaki's announcement of retirement in 1998. Although, in the end, Miyazaki didn't retire, but Kondō's death seems to have influenced Miyazaki to work at a more relaxed pace. We all feel a little uncertain about the future at times, and Whisper of the Heart addresses that uncertainty in all of us. These relatable and insightful quotes from Mimi wo Sumaseba will remind you that everyone shares similar concerns and reassure you that everything will be okay in the end. It is a tragedy beyond words that this stone, freshly hewn and full of potential, was never allowed the time to be polished and reveal the shining gem at the center. Godspeed, and thank you for sharing your soul. Real twist of fate with this guy. Crazy to imagine the different creative paths Ghibli could've taken if this guy was still at the head with Miyazaki, Takahata, and Suzuki. Ain't that just the way. He was simply amazing. Whisper of the Heart remains my favorite Ghibli film. I also appreciate his contributions for the World Masterpieces Theater titles he was involved with. Whisper of the Heart is easily my favorite Ghibli film, shame he passed on after his hard work on it. Without a doubt, he had the kind of talent Hayao Miyazaki demonstrates. It's so disappointing to hear he never got to direct another masterpiece. Directed a masterpiece and then died. It's a shame, really. I just think of all the things that could have been. I love his animation work.. Whisper of Heart was a masterpiece. As well as other works that he contributed. I was a great loss to anime.